Why SparkPost? This Is the Real Deal. 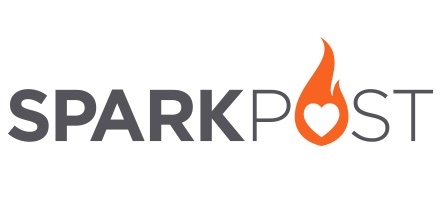 Blog Developer Why SparkPost? This Is the Real Deal. It’s easy to build a web site that promises the sun and the moon. Whatever they’re selling, it’s the best of the best. Honestly, it’s hard to know who’s being straight with you, and who’s just the better sales person. So, I’m going to say it straight. There are a few things that set SparkPost apart. And I’m not just blowing smoke—I’m a big believer that actions speak louder than words. I recently had a conversation about our services with a company that really impressed me—folks that I’d really love to have as customers. They liked what they saw in our services, but had some candid feedback. Their concern had nothing to do with inbox placement, our API, or pricing (which are all excellent, BTW), but with our maturity. This is a fair point with most startups! When it’s a new company you’re dealing with, you don’t know how experienced their engineers are, how established the software is, or how long it will be before they run out of money. But given our unique history, I was able to quickly reassure him that while the SparkPost service is about a year old, our company is more than 10 years old, and we built our stack around our amazing Momentum MTA, a platform that delivers 25% of the world’s legitimate email. We’ve moved that power to the cloud to drive the next generation of tech. Not only do we have talented engineers on staff, but a strong business team as well, with experienced people at the helm. Our API, UI, and client libraries are all built by people who are as passionate about #BuildingSomethingAwesome as you. 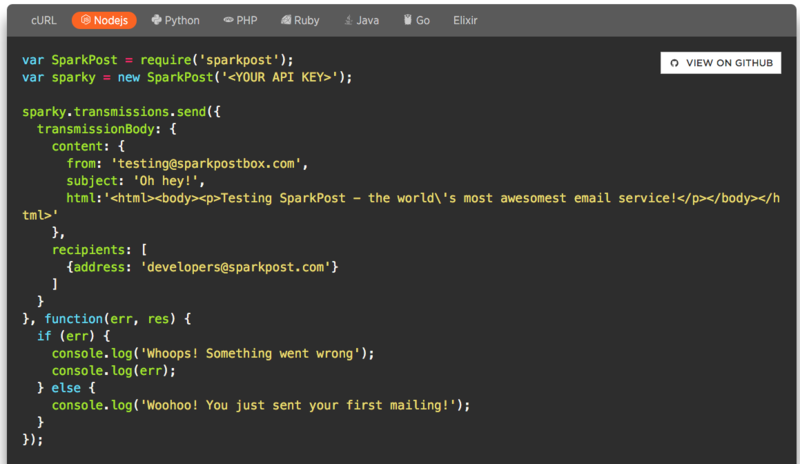 Helping developers to do something great with email is core to our DNA. We’re also passionate about getting it right and building out all the tools to make your life easier. To that end, we’re constantly adding more docs, sample apps, and integrations than I could possibly link to from here. So jump on over to our Developer Hub, because that’s where it all happens. We’ve linked code samples, blog posts, documentation, and our API in one place so you can find all the resources that you need. And we’re a community, too. Want to bounce your ideas off of other people? Tired of being the only one working on email infrastructure at your company? Join us in the SparkPost Community Slack channel or on Twitter @SparkPost to flesh out some of your ideas or just hang out for a while. Whether you’re new to email infrastructure (or have been doing it for years), there’s always going to be a day when something goes wrong. And when that happens, we’re here for you. We’ve got fully searchable documentation, a presence on StackOverflow, and 24/7 support staff. Our primary job is to help you get the best results possible through your emails, and we take this very seriously. A large part of this is fighting spam and abuse. We actually care about compliance with the policies, standards, and common sense guidelines about the right way to do email. Besides being the right thing to do, it also has bottom-line benefits. Being good guys helps to ensure that our customers’ emails get where they’re supposed to go, when they’re supposed to get there. It’s really as simple (and as complicated) as that. Because of this responsibility, we’ve built in anti-abuse and compliance controls from day one, and we have the best deliverability and compliance team in the world, period. It’s not an afterthought. 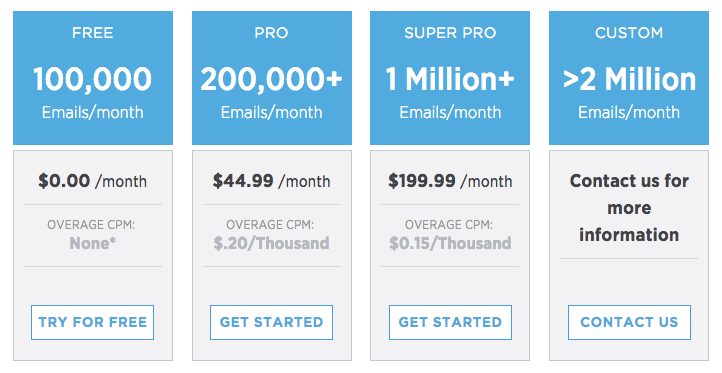 It’s one of the reasons SparkPost has the best inbox placement in the business. Data doesn’t lie. We’ve said from the day we launched SparkPost that our intent is to serve you from startup all the way to grown-up, and that’s not going to change. We’ve got the high-performing tech, the resources, and the amazing people to serve everyone from brand-new companies to the biggest senders in the world. There’s a reason that leaders like Pinterest, Twitter, Salesforce, Zillow, and LinkedIn rely on us. And a ton of remarkable companies that are ready to grow, too. The last thing anyone wants to talk about is money, yet it’s usually the first question. So I’m super happy to be able to say we’ve gotten our pricing right. We’ve said that we love developers, that we’re the best in the business, and that we want you to be successful… so we’re putting our money where our mouth is. We believe in our product just as much as we believe in you, and we think you’re going to love what we’re doing. This really is a win-win for you and for us. So, let’s get started building something awesome! Get started for free today.